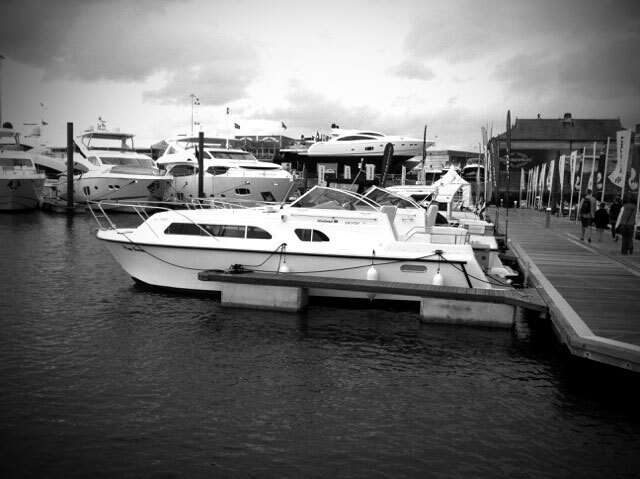 Shetland Boats was founded in 1968, starting at Threestokes Marina in London with a simple phone call. It soon grew and required more space and dedication so Shetland set up full production between two sites at Burnham on Crouch and Southminster; and this was then the start of the Shetland boats. After rapidly outgrowing the two locations a new site was purchased in Stanton, Suffolk. Once settled in Stanton, Shetland grew ever more and was manufacturing and delivering up to 12 boats a day, up to 60 in one week. Following an end to production in Stanton and change of ownership, Shetland moved to Redgrave in Norfolk. It continued to produce boats of a similar type but began to introduce new models such as the Shetland Sovereign and the Saker. They also began to produce boats under a license agreement from a leading boat manufacture in Australia; known as Signature. In 1992 Shetland then undertook a move to Bury St Edmunds in Suffolk and there returned to manufacture the smaller models in the range. Then on 4th October 1997 the company saw a fresh start and Shetland once again relocated back to Stanton. With this move came James Reinman, the new Managing Director at the ripe age of 25. In the years prior to owning Shetland Boats James grew and acquired his boating knowledge by becoming a young apprentice and working on the factory floor. With this James learnt his invaluable knowledge of boat building. After 5 years in Stanton, Shetland relocated just a short distance away in the village of Pakenham, where it has now secured its own 5 acre site. With this increased space and the ability to store more boats Shetland successfully builds its largest model to date, the luxury Shetland 245. This continues to be a change of direction for Shetland Boats from the days of large volume small boats. Shetland’s main objective in 1968 was to produce safe and reliable family performance cruisers at no nonsense prices, this is still the objective today and Shetland stands by this belief. Shetland family cruisers have had a consistent appeal to thousands who enjoy life afloat as the only acceptable family pastime providing a rewarding alternative to pressures of daily work life. Over the last 40 years few boat companies have been able to maintain the confidence of the boat buying public with the same success as Shetland Boats and with a Shetland in the family, the coasts and waterways of the UK and Europe are waiting to welcome you. With a Shetland you’re only a trailer trip away.